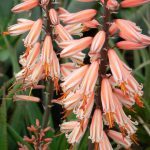 This large, short-stemmed aloe cultivar is known for its colourful two-tone flower display. 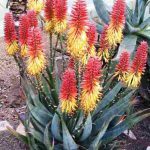 In early winter the tall, upright racemes first show the red of the buds, and as the flowers open they gradually turn to a deep yellow, creating the long-lasting ‘sunset’ colours. 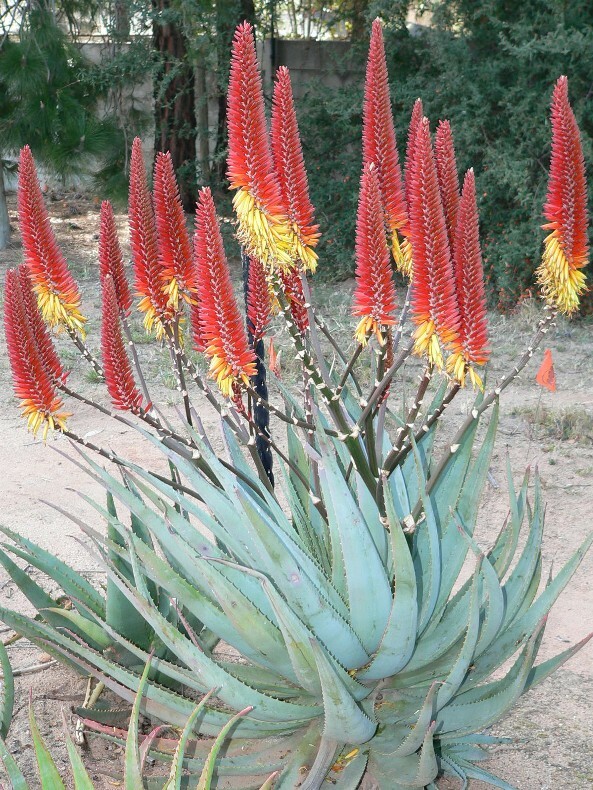 Up to 4 branched inflorescences with tall, upright racemes is produced by fully grown plants. The plant normally reaches its maximum flowering potential about 4 years after flowering as a young plant for the first time, and before it grows away from the ground (forms a stout stem). The well-shaped plant is fast growing and has greenish-grey leaves edged with dark spines. It may divide its rosette as it approaches maturity (a bonus for flower production). 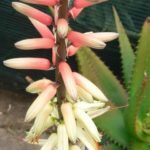 It may similarly produce stem shoots which are best removed to retain the architectural shape of this aloe. Best recorded flowering performance from a single rosette: 6 inflorescences and a total of 25 racemes.